Well call me crazy, but I have started another blog. 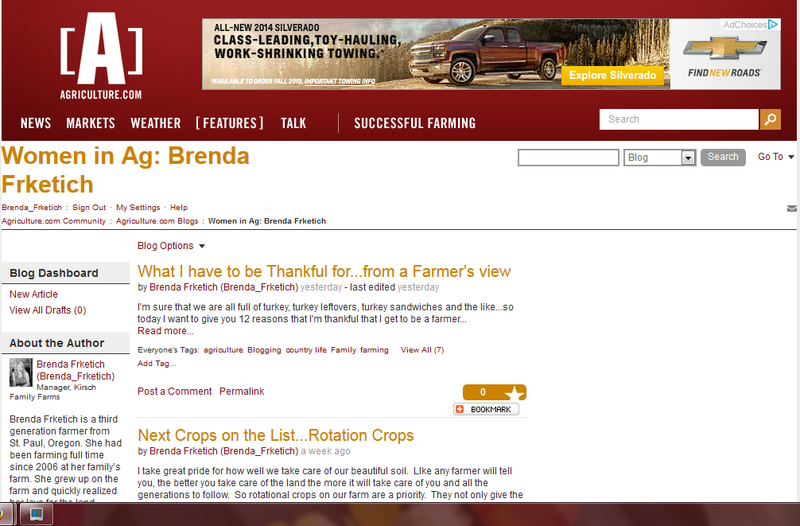 I was asked a few months back if I would be willing to write for Agriculture.com on their Women in Ag section. After rolling it around for awhile, and figuring out if I could fit yet another writing assignment into my schedule I kept coming back to how exciting it was to have someone want you to tell your story on their site! So after a week of hmm-ing and haa-ing, I decided that yes, I could do this. I post once a week and while it will still be a blog talking about this farm, I will usually be covering different issues and stories each week. I hope you get some time to check it out and let me know what you think! Thank you for all your support with NuttyGrass and keep on coming back to read. Like I said…I do love sharing my farmer’s point of view! Exciting! Congrats on being asked to represent women in Ag!